Shark Diver : Shark Diving : Swimming With Sharks: Here is your chance to make your own shark diving movie! Here is your chance to make your own shark diving movie! Have you ever dreamed of diving with great white sharks? Did you ever want to know, how they film those amazing underwater scenes you see in the movie theaters and on television? This is your chance to do both! 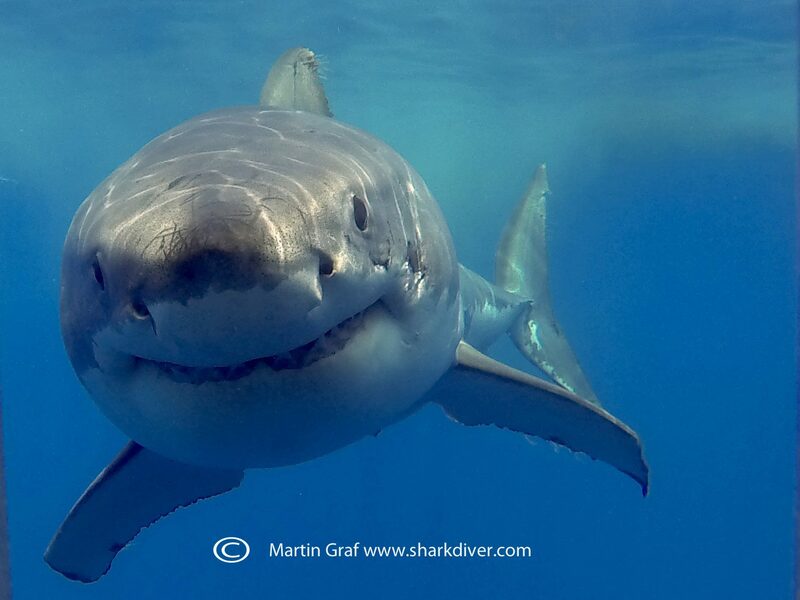 Join Shark Diver and Emmy award winning underwater cinematographer Peter Kragh at the peak of Guadalupe Island's shark season, to dive with great white sharks and learn about the many facets of underwater documentary film making. Whether you are just an amateur or an emerging filmmaker, this is an opportunity to get some expert advise on how to make your videos and, of course, come eye to eye with some of the greatest sharks in the world. Peter is intimately familiar with sharks. He has filmed everything from little horn sharks to whale sharks and great whites and worked on many Shark Week episodes. He will be there to help you improve your photography skills and experience. There will also be screenings of some of Peters work. With all the dives he's done around the world, Peter can also help you find that "secret" location for your next diving adventure. With all this experience, Peter will sure be able to help you make your own amazing video, to document your trip of a lifetime. This is a unique opportunity to both improve your filming skills, while having the time of your life, coming face to face with the Great White Sharks at Guadalupe Island! The video below is from last season, shot without Peter's assistance. I can't wait to see, how much better it will be with his help this year!